Welcome to BOS 2020 in Vilnius, Lithuania! BOS 2018 registration is open! Save the Date: Balticum Organicum Syntheticum 2018 in Tallinn, Estonia will be held on 1-4 July, 2018! BOS 2016 is organized by the Latvian Institute of Organic Synthesis, and the EC 7th Framework Program project „Strengthening the research and innovative capacities of the Latvian Institute of Organic Synthesis, the leading Baltic regional centre for drug discovery”, InnovaBalt. 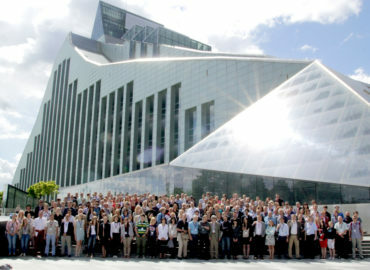 For me, the best things about BOS conference are the following: - it has really high quality speakers, as on most years, there has been at least one Nobel prizer giving a lecture - the atmosphere of the conference is always pleasant and not too formal, so students have the opportunity to meet great professors in person - there are many speakers from industry, which is not common for a conference. Thank you for organizing the conference. It was fun and useful. If at all possible, definitely I will participate in the next conference. Thank you and hope to see you again in Tallinn. BOS2016 was wonderful and interesting. Yes, the chemistry I liked very much but also many other things. 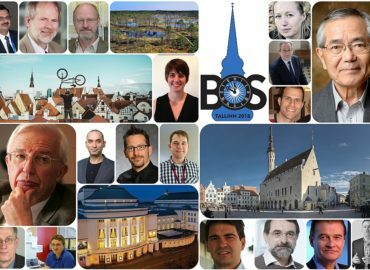 I will definitely plan to be in Tallinn for BOS. BOS 2016 conference, as always was very successful: there were many interesting presentations and excellent chemistry. A big thank you to the organizers!